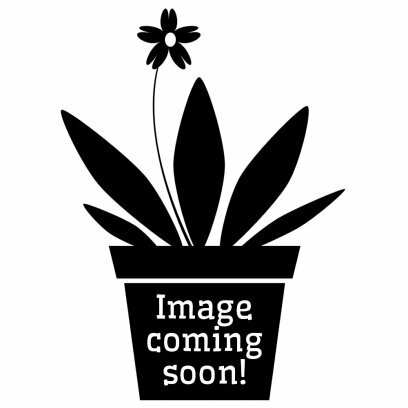 Aloes are great plants for arid terrariums. Their interesting leaf shapes and growth habits make them ideal for adding interest to a planting arrangement. The leaves are often armed with spines so care should be taken when using them with larger species of animals. 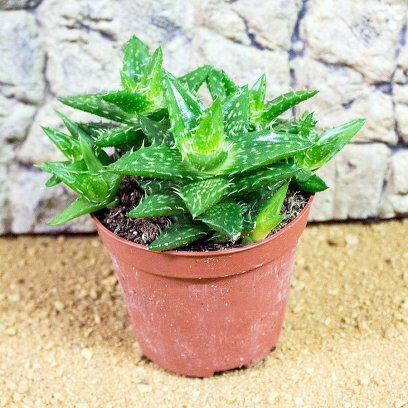 Aloes need bright lighting and a well drained soil which prevents the roots rotting. Their leaves are designed to store water and so they are tolerant of occasional drying out, but this should be avoided if possible. They prefer to be watered as the soil dries out, but before they are completely dry. Unless the terrarium is set up with a deep, bio-active substrate then plants is a dry terrarium are best kept in their pot, which is then disguised with substrate and decor. This allows the plants to be watered as necessary without making the whole substrate too damp. 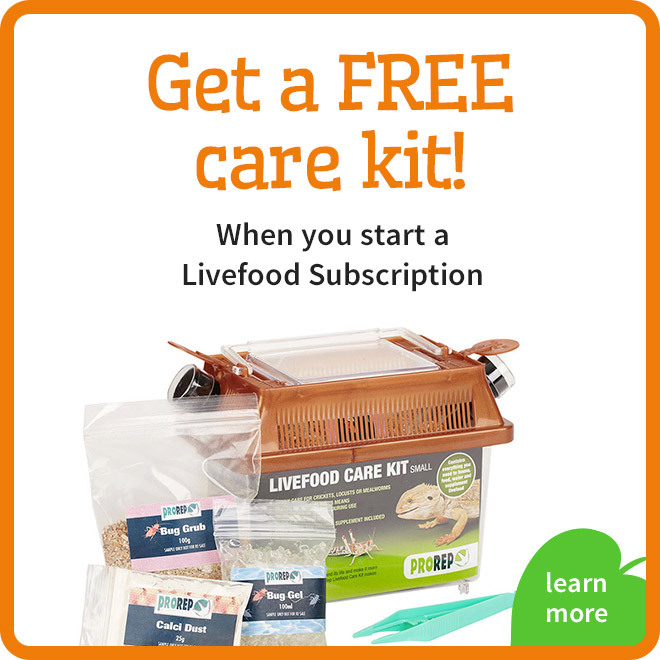 Phrases like 'Terrascaping', 'Bio-Active' and 'Living Terrariums' are becoming more and more common in the world of reptile and amphibian care, as keepers become more aware of the benefits of creating a living ecosystem for their pets. 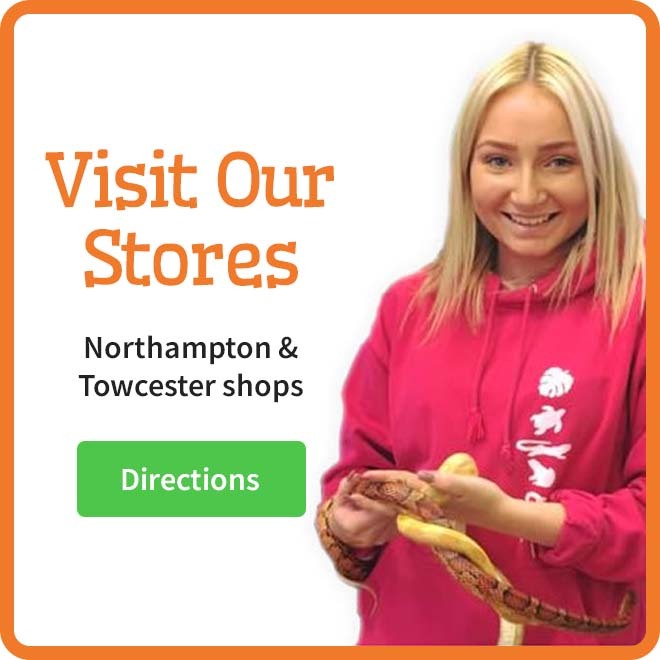 Apart from the aesthetic appeal of a planted terrarium there are some very real, tangible benefits for the animals. 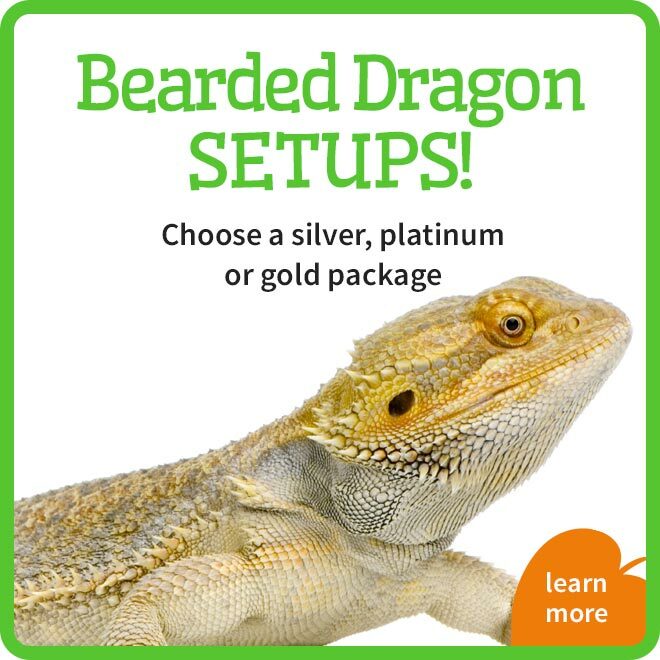 Living plants provide natural cover and climbing perches, shade, basking sites and maintain natural humidity. Just as live plants in an office can improve workers well-being, live plants in a terrarium will have the same effect for animals. 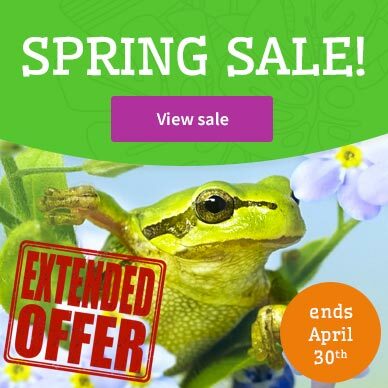 But not all plants are suitable for terrarium use and it is important to not only choose the correct plants for the environment but also to select species or varieties that do not grow too large. 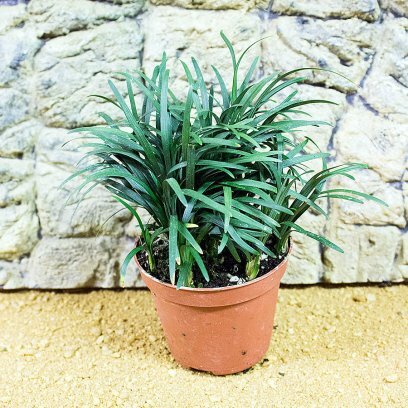 Many houseplants for sale appear suitable when they are small specimens in a garden centre, but given time they may end up as giants that overwhelm a terrarium. 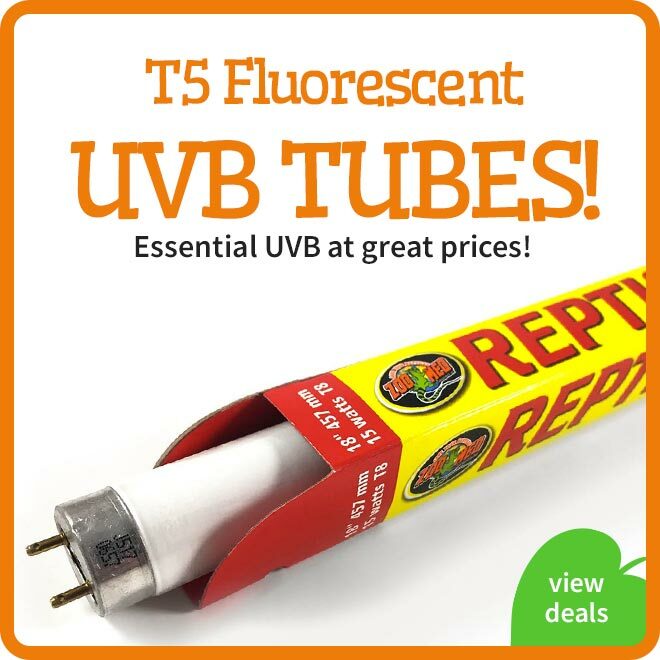 ProRep are delighted to introduce a comprehensive range of live plants. 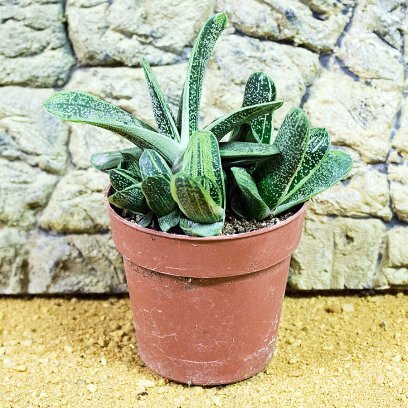 These are not just small houseplants but are a selected range of species that are ideally suited to the terrarium, including some of the more unusual or rare types. 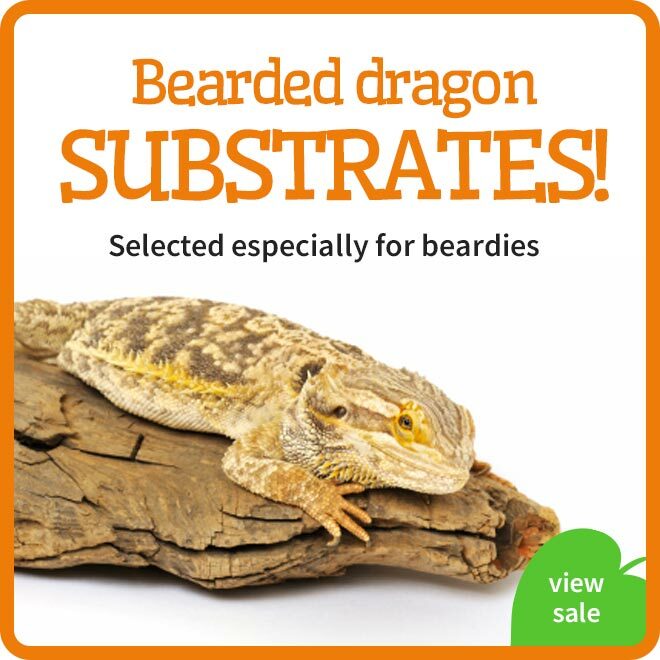 They have carefully selected the range so that there are plants to suit all habitats and growth patterns. 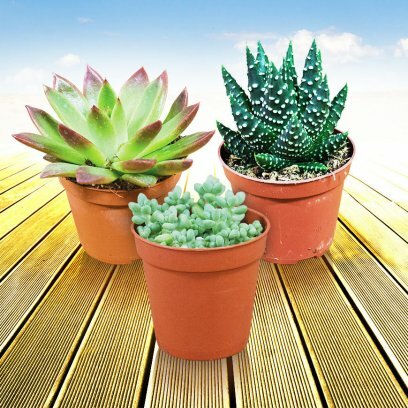 There are succulents for arid environments, bromeliads, ground cover plants and epiphytes for jungle setups as well as aquatic plants and mosses. Whatever the environment you're trying to re-create, you will be able to use live plants to suit. 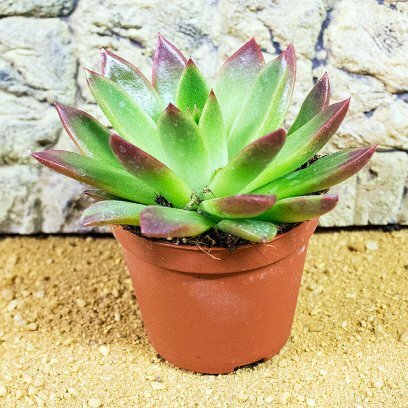 Echeverias are smooth leaved succulents ideally suited to dry terrariums. They form low rosettes close to the ground and are especially attractive when used us foreground planting, or between rocks. Planted in combination with Aloe species they make an interesting display. 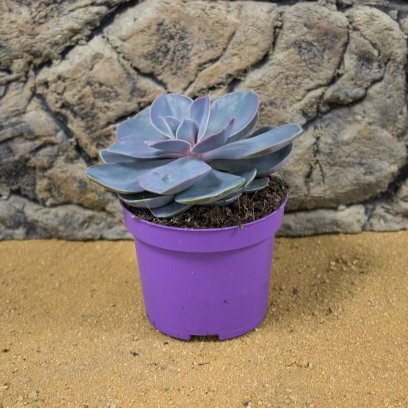 Like most desert plants Echeverias need bright lighting, and a free draining soil. Although drought tolerant they prefer to be watered as the soil dries out, but before they are completely dry. Unless the terrarium is set up with a deep, bio-active substrate then plants is a dry terrarium are best kept in their pot, which is then disguised with substrate and decor. This allows the plants to be watered as necessary without making the whole substrate too damp. 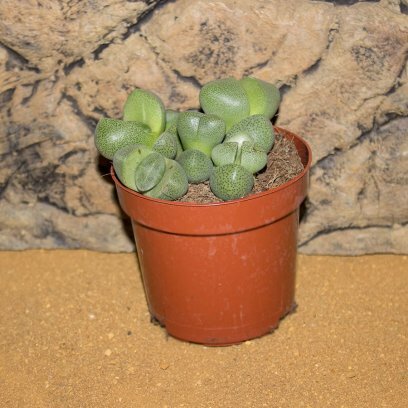 Gasterias are another desert succulent which can be used in a dry terrarium. 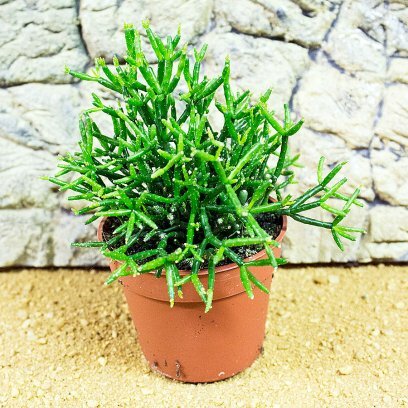 They have paired, smooth leaves which gives them a unique appearance and can be planted in combination with other succulents for a dramatic effect, particularly when planted among rocks. 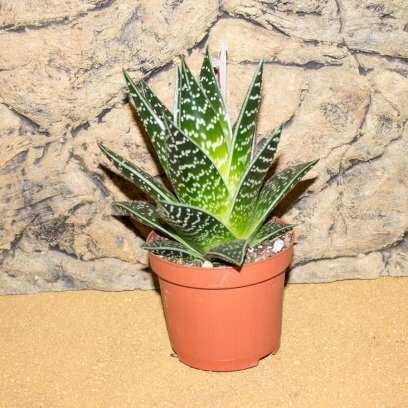 Like most desert plants Gasteria needs bright lighting, and a free draining soil but this species will tolerate some shade. Although drought tolerant they prefer to be watered as the soil dries out, but before they are completely dry. 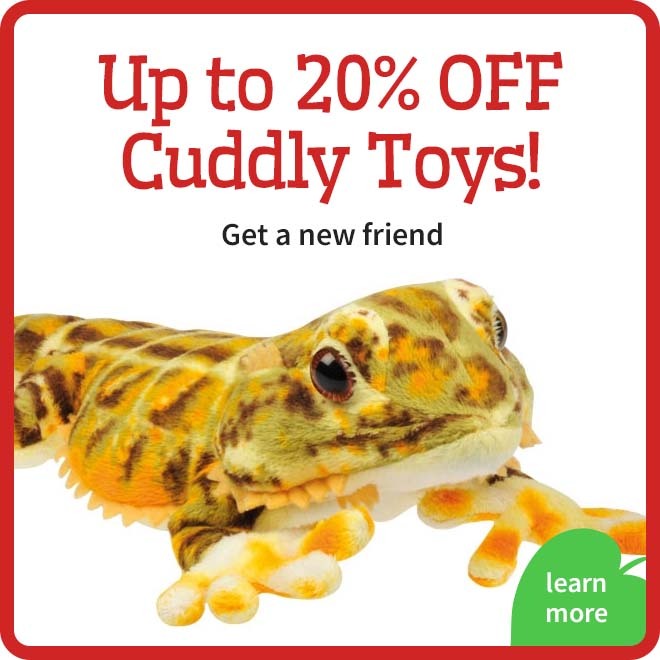 Unless the terrarium is set up with a deep, bio-active substrate then plants is a dry terrarium are best kept in their pot, which is then disguised with substrate and decor. This allows the plants to be watered as necessary without making the whole substrate too damp. 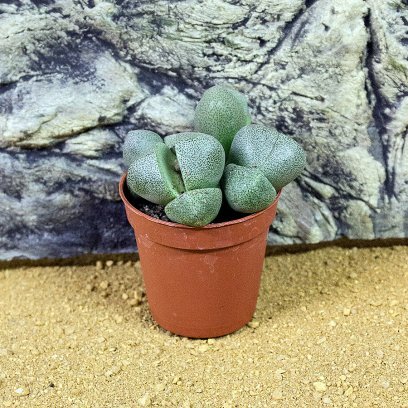 The ultimate dry terrarium plant, Living stones need to be grown under bright light where they will slowly spread by developing offshoots. This species dislikes disturbance and so they are best suited for use with smaller, non destructive animals which may did them up. Their soil needs to be free draining as they dislike constantly wet roots and are very tolerant of drought. 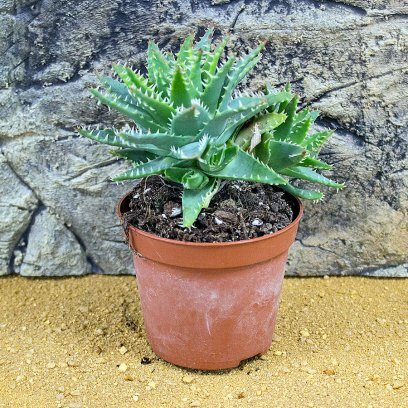 Although similar in appearance to Aloes, Harworthia has shorter leaves and a more upright growth habit and attractively spotted leaves. They propagate by forming offshoots and can develop into large clumps. Like most desert plants Harworthia needs bright lighting, and a free draining soil but this species will tolerate some shade. Although drought tolerant they prefer to be watered as the soil dries out, but before they are completely dry. Unless the terrarium is set up with a deep, bio-active substrate then plants is a dry terrarium are best kept in their pot, which is then disguised with substrate and decor. This allows the plants to be watered as necessary without making the whole substrate too damp. 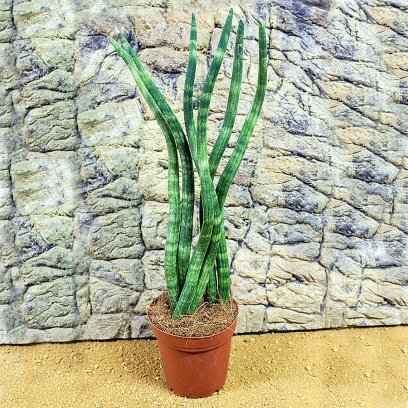 A lovely, striking plant for the dry or scrub terrarium this interesting variety of the familiar "Mother in laws Tongue" commonly called the Snake Plant, sends up vertical leaves from a creeping underground rhizome. Tolerant of a wide variety of moisture and light conditions the only things this species really doesn't like is very low light and a wet soil. 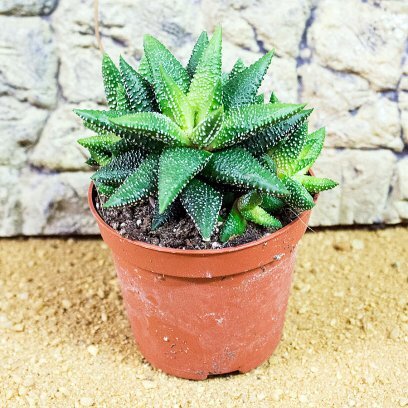 It will tolerate drying out as it stores water in its leaves and roots so its great for direct planting into a dry or scrub terrarium as the soil does not have to be kept damp. 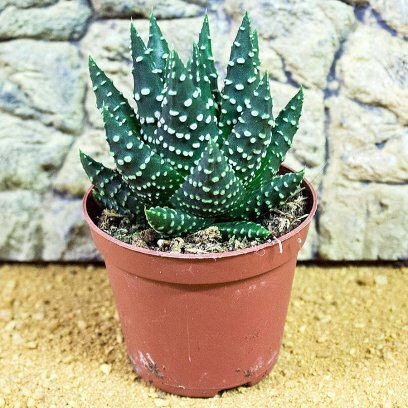 Although similar in appearance to Aloes, Harworthia has shorter leaves and a more upright growth habit and attractively spotted leaves. They propagate by forming offshoots and can develop into large clumps. 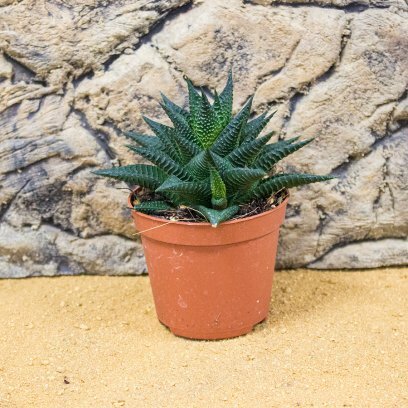 Like most desert plants Harworthia needs bright lighting, and a free draining soil. Although drought tolerant they prefer to be watered as the soil dries out, but before they are completely dry. 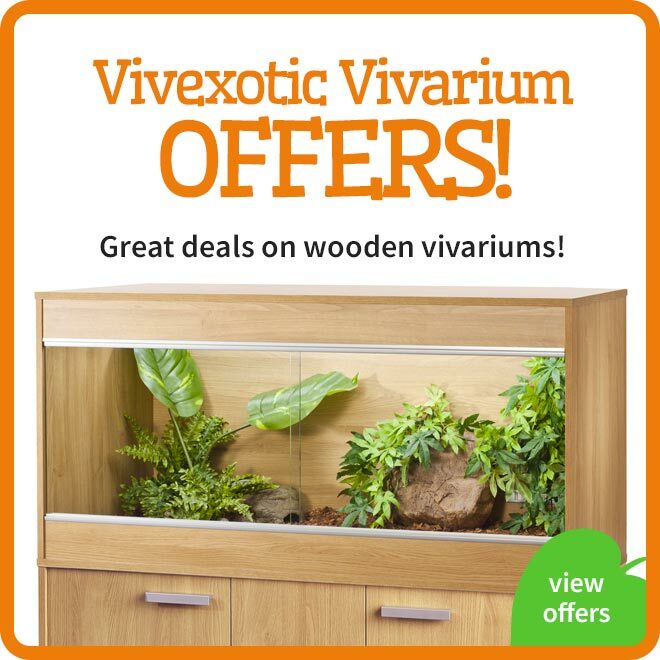 Unless the terrarium is set up with a deep, bio-active substrate then plants is a dry terrarium are best kept in their pot, which is then disguised with substrate and decor. This allows the plants to be watered as necessary without making the whole substrate too damp. Although this plant bears a passing resemblance to a grass, it is actually a member of the Asparagus family. Growing from a creeping underground stem it gradually spreads to form dense mats of low foliage. This species will tolerate fairly wet conditions, but prefers the middle ground of not being too wet or too dry. it is tolerant of shade, but in the terrarium will grow happily in bright light providing it is not scorched by spot lamps. 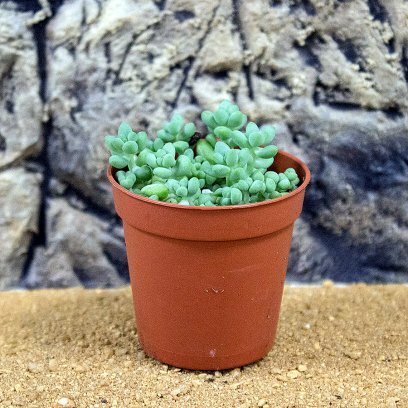 Ideal for the dry or scrub terrarium Sedums will tolerate drought, providing they have good light and a well drained soil. 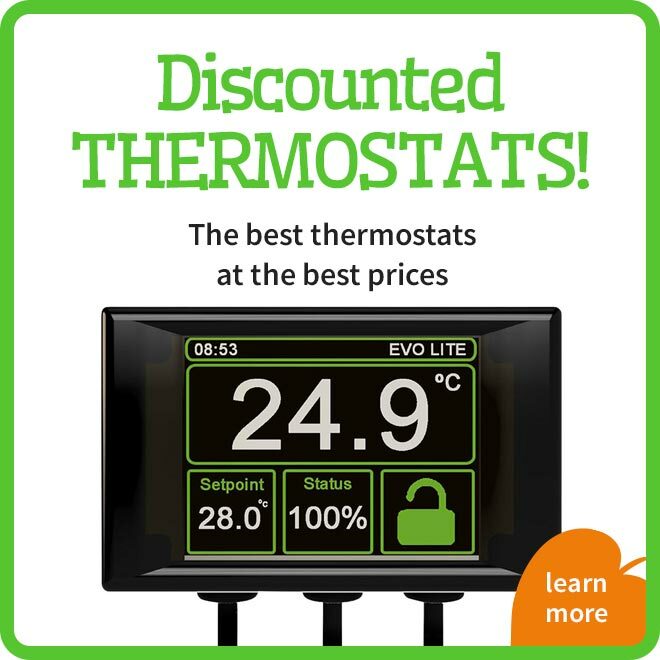 Poor airflow, or wet conditions will cause them to rot quickly. 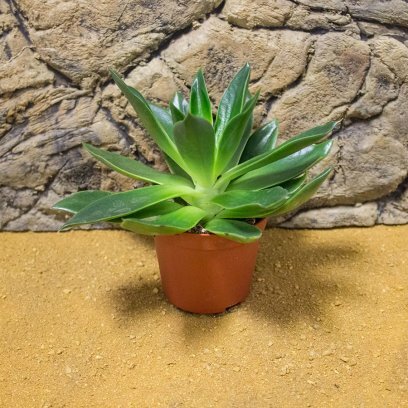 In the wild these plants often grow in dry areas with thin soils and so are great for planting amongst rocks in pockets of soil. The will then creep and tumble down over the rocks for a great effect. The Drunkards Dream Cactus is an epiphytic succulent cactus which looks spectacular when allowed to hang. They need a well draining soil and light shade and will tolerate drought conditions. Keep them out of the direct heat from a spot lamp or ceramic as this can cause the fronds to drop. 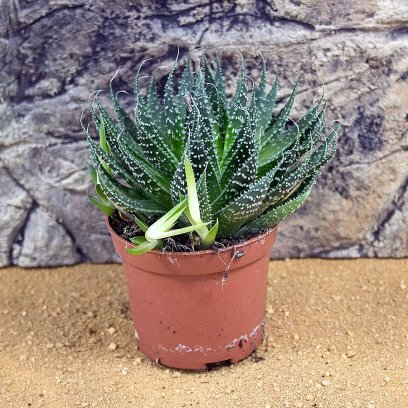 Providing they have a well drained soil then this species can be grown in moderately humid terrariums, but too much moisture and they will start to rot. This collection of 20 plants is a selection of species that will grow well under more arid conditions. 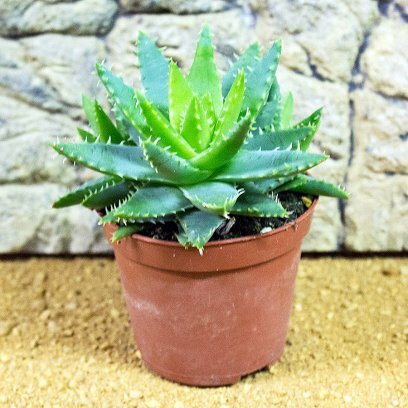 The selection varies depending on plant availability but may include Aloe, Echeveria, Sedum, Hatiora, Gasteria or Harworthia. 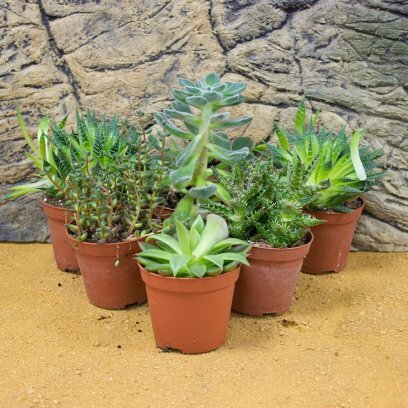 A collection of 6 assorted species suitable for arid environemnts.Types may vary from species shown. 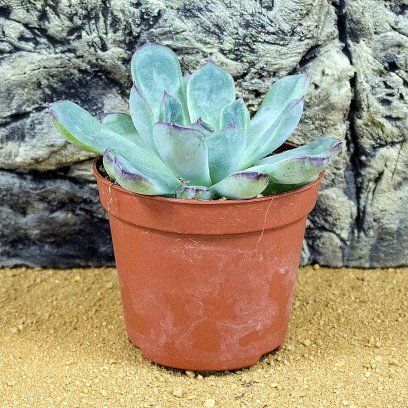 Echeverias are smooth leaved succulents ideally suited to dry terrariums. They form low rosettes close to the ground and are especially attractive when used us foreground planting, or between rocks. Planted in combination with Aloe species they make an interesting display. Like most desert plants Echeverias need bright lighting, and a free draining soil but this species will tolerate some shade. Although drought tolerant they prefer to be watered as the soil dries out, but before they are completely dry. Unless the terrarium is set up with a deep, bio-active substrate then plants is a dry terrarium are best kept in their pot, which is then disguised with substrate and decor. This allows the plants to be watered as necessary without making the whole substrate too damp.